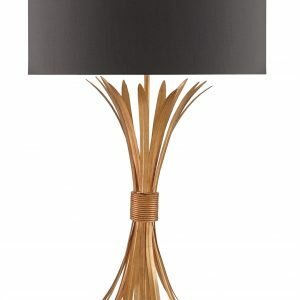 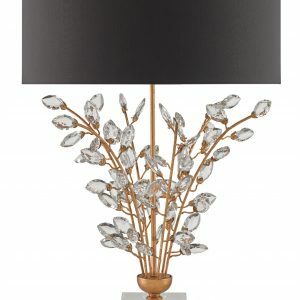 This table lamp features a Hollywood chic and refinement are at the heart of this glitzy table lamp. 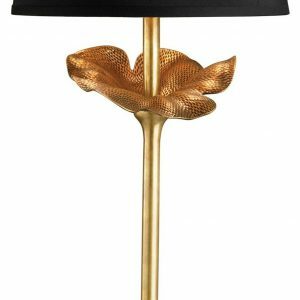 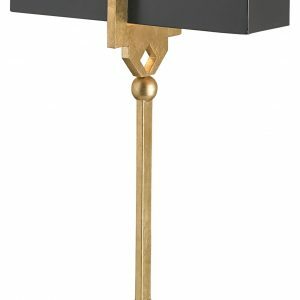 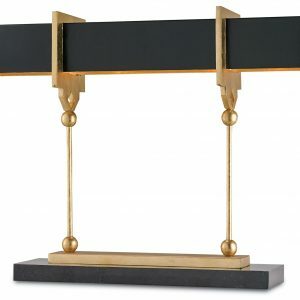 Satin black and gold leaf contemporary finishing adorn the all metal lamp. 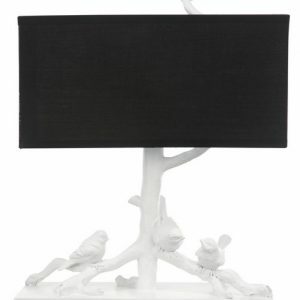 Has one light under shade, maximum wattage 50. 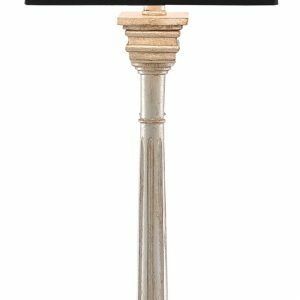 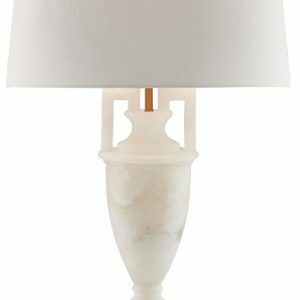 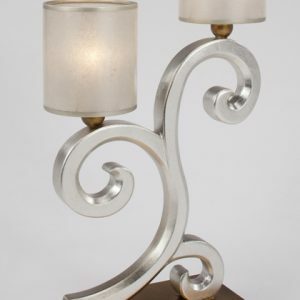 This table lamp features two lights and a beautiful silver leaf finish. 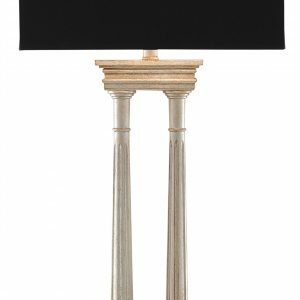 Stands 33 inches tall to enhance your console or side table.